– everyone who has ever stopped at a motorway service station, probably. 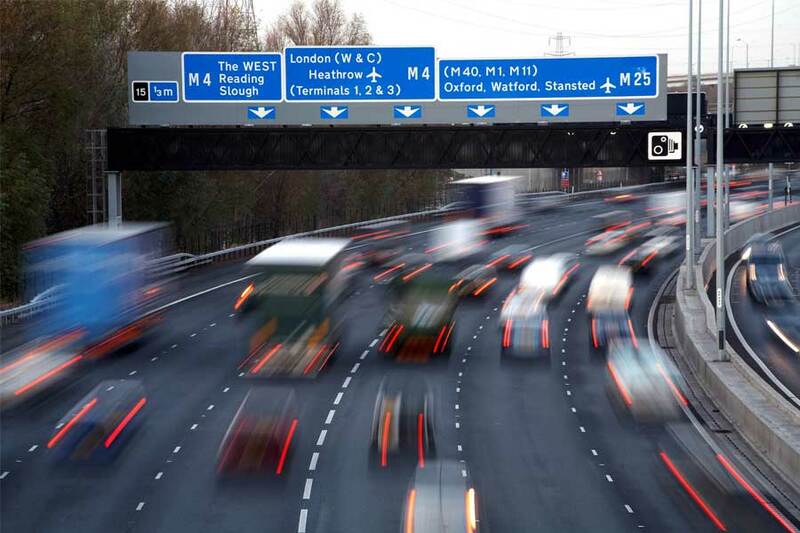 Understandably, for anyone who frequents the nation’s motorways, the idea of spending yet another tenner on a soggy sandwich and cold coffee at a soulless service station can make a future journey down the M1 seem somehow even less appealing. 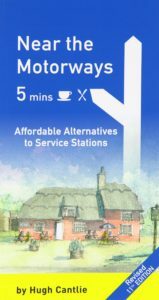 Thankfully, someone who understands this struggle has done us all a favour and put together a bible of better, more affordable alternatives to the service station in the form of – what else – pubs! Near the Motorways, by Hugh Cantlie, features over 200 ‘personally selected’ pubs, hotels and restaurants within 5 minutes of Britain’s motorways. From the A1 to the M90, this glove-box guide offers inspiration for travellers who endeavour upon any of the 30 routes covered. Each entry comes with a standard list of essential details including; the postcode for your Satnav, contact details and an indication of the prices you can expect. Each also boasts its own watercolour image painted by Cantlie himself, and a brief description of the outlet, giving the guide a charming personal touch that your standard guide would likely lack. As indicated by the edition (this is the 11th) Near the Motorways is regularly updated, both from Cantlie’s experiences and reader suggestions (you can fill out a form at the back of the book or email if you know a particularly good one). To give you a taste of what the guide has to offer we’ve put together a list of some of our favourite spots from the book. Happy travels! Next Post → Name This Pub!